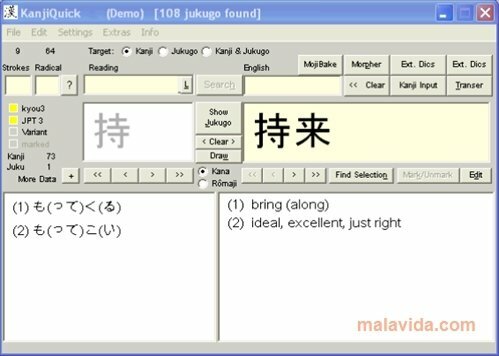 With KanjiQuick you can learn to recognize the Japanese characters visually, viewing the translations from English into Japanese. The word Kanji refers to the Japanese characters, that for people that don't know the language can be rather difficult to learn. That is why, KanjiQuick can come in very handy to become familiar with these symbols. 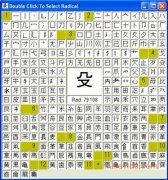 KanjiQuick allows us to search for up 6,500 Kanji characters, 47,000 compound words and 80,000 names and places. By means of this search you will be able to locate any word, view its symbols, its meaning and how it is read. It also has a module to practice writing the characters, and animations that show the right way to write them. 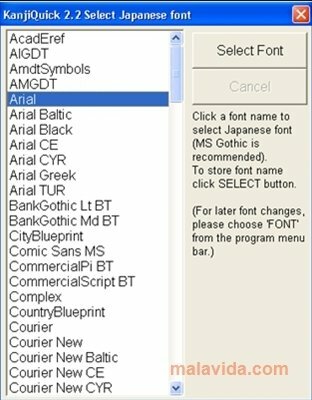 On the other hand, KanjiQuick includes a translator in which you can paste a text in English and it will automatically translate it into Japanese. Show all the Kanji that are pronounced in a certain way. 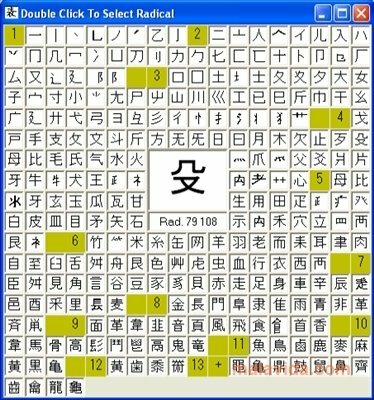 Show all the Kanji with a specific amount of lines. Show them in Rômaji and Kana. It has come the time to learn Japanese thanks to KanjiQuick. It requires that you have an IME installed to view the Japanese characters.